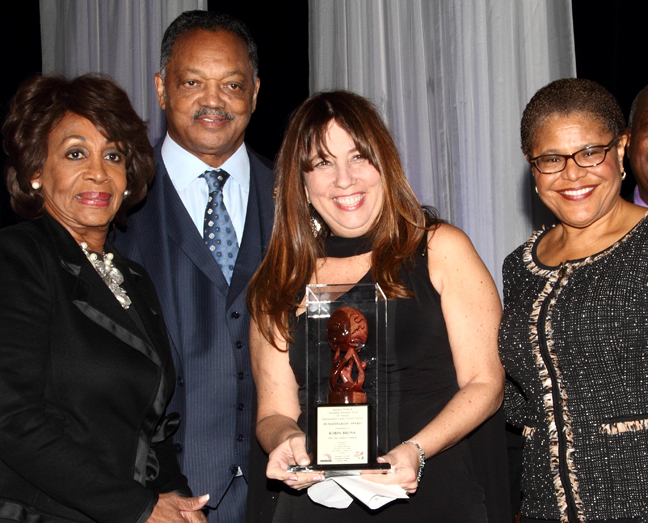 Reverend Jesse Jackson celebrated his 72nd birthday Friday, November 22 with the help of his longtime friends and political allies Andrew Young, Maxine Waters, and Karen Bass. 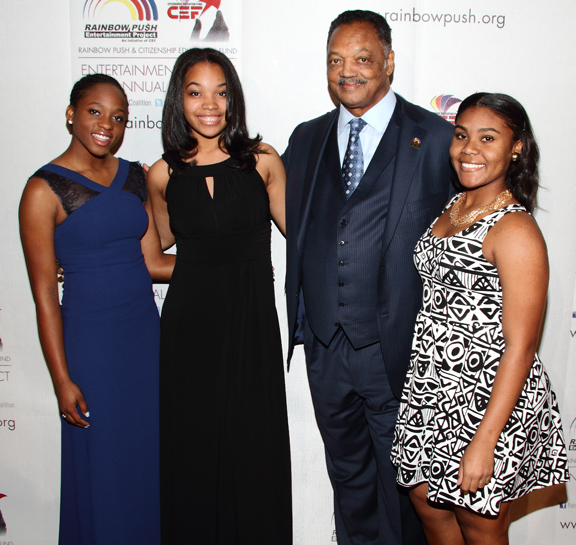 More than a month after Jackson’s actual birthday – which falls on October 8 – the celebration for the past fifteen years has doubled as a Rainbow Push and Citizen Education fundraising event and awards dinner for Jackson’s non-profit organization. Jackson arrived to the celebration directly from shooting the Arsenio Hall show. Held at the Beverly Hilton Hotel, the celebration brought out hundreds of people; many personal friends, notables and supporters of his non-profit’s work. Jackson’s eldest daughter, Santita served as mistress of ceremonies. A variety of news clippings were played over the course of the program displaying highlights of Jackson’s work as a political activist, primarily highlighting his expertise in negotiating hostage situations. Jackson has freed political prisoners abroad on six different occasions, in each instance, acting without the support of the American government. Taking no breaks from the fight against injustice, Jackson told the Sentinel on November 22 that currently his biggest concern is developing a comprehensive plan for reconstruction. “The voting rights act is under threat again with streams of suppression,” he said, referring to the recent government shutdown. “Those who close the doors of congress also want to close the door on access to voting. 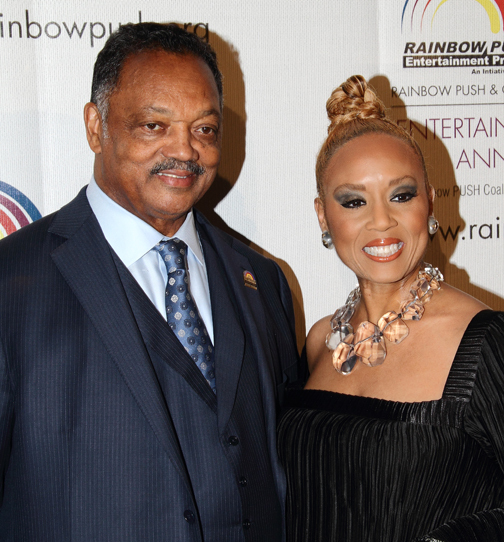 Jackson shared his birthday spotlight with eight community servants honored with awards during the gala. Tony Cornelius, son of the late Don Cornelius, was also a guest.